credit to it’s rightful owner. 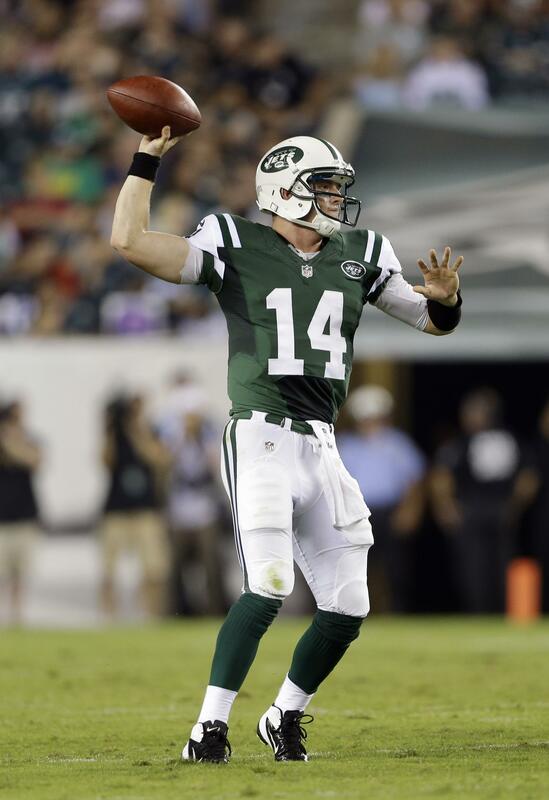 PHILADELPHIA, PA – Former New York Jets QB, Greg McElroy announced an unexpected retirement from the NFL today. McElroy, 25, was drafted by the Jets in the 2011 and scarcely started for the Jets throughout his 3 seasons with the team. He was released by the Jets during the 2013 season for QB Matt Simms and was acquired by the Bengals. However, he was assigned to Cincinnati’s practice squad. One of McElroy’s highlights was replacing Mark Sanchez who was struggling against the Chargers, against to pull off a 7-6 comeback victory. McElroy is also known for leading Alabama to a national championship, prior to him being drafted. “The future is bright, and exciting things are on the horizon! God bless to all.” McElroy said in his final statement on Twitter. Per a source, Simms may pursue a career in politics as he always had an aspiration to. Tags: Alabama, Crimson Tide, New York Jets, NFL. Bookmark the permalink. Previous post ← Jets announce a deal with WR Eric Decker.